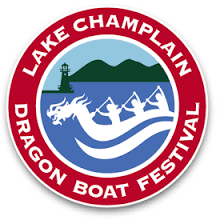 We are excited to announce that Artemis will again be helping to sponsor a boat for the Dragon boat festival held on the Burlington waterfront on Sunday, August 7th. Our fearless two co-captains will be Karen Hunt and Deb Rorris. Each boat has 20 paddlers and one drummer and we are hoping many of you will be interested in paddling with us this year. No experience is necessary to paddle but attendance at one practice (held for 2 hours sometime on Saturday 7/16 or Sunday 7/17) and the day of the race is required. There is a fee for this event which covers the training, all the races, and t-shirt and a medal. This is a great event to support Survivorship which provides wellness programs which provides wellness programs for all cancer survivors in our community. For more information, check out the Dragon Boat website at www.ridethedragon.org. Signup here or at Artemis to get your spot on the boat! Thank you! We'll be in touch soon with more details. Turn your Resolution into Reality! Kick-off event invitation and MORE! We're offering all of this at a special price of $199 (value $418). If you sign up with a friend, the price drops to $169 for both of you. If you're a current member the cost is $79 if you're an unlimited group member or $29 if you're a personal training member. The kick-off to the challenge starts Tuesday, January 12th. Sign up online or call us at 802-448-3769! All Artemis members are invited to attend a special dinner celebrating the many exciting events that have happened recently: the Iron Woman series, the 6-week challenge, and our 4th birthday! Cate and Kendra will be providing dinner and you'll receive an evite with a link to RSVP. Hope you can make it! Do you ever leak urine when you laugh, sneeze or workout? It’s a common problem for women but it is not normal, and you can get help. Jane Kaufman, owner of Phoenix Physical Therapy will teach us about Pelvic Floor Muscle Anatomy, Pelvic Floor Dysfunction and Pelvic Floor Muscle Treatment and Return to Function. Free for members and $5 for guests.